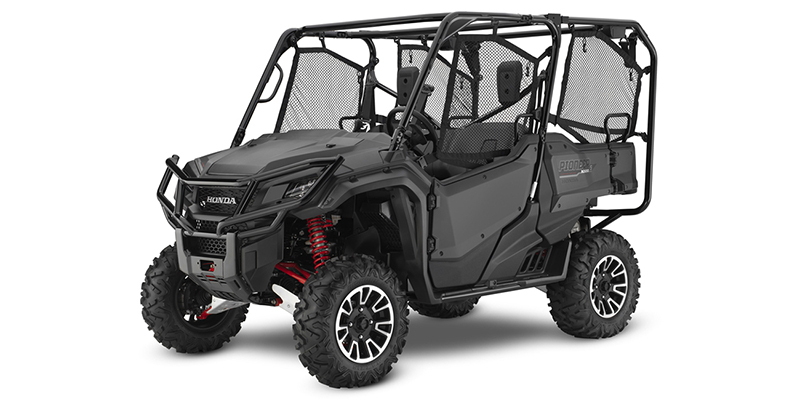 The Honda Pioneer 1000-5 LE is a utility style utility vehicle with an MSRP of $21,899 and is carryover for 2018. 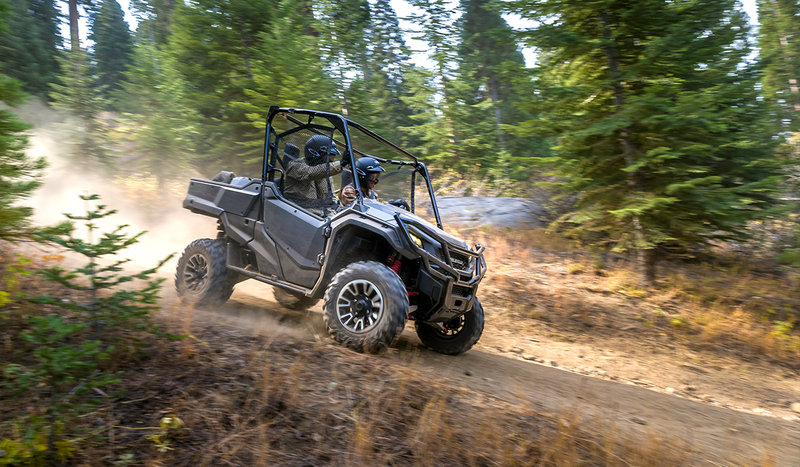 Power is provided by a 4-Stroke, 999cc, Liquid cooled, OHV, Single-Cylinder engine with Electric starter. 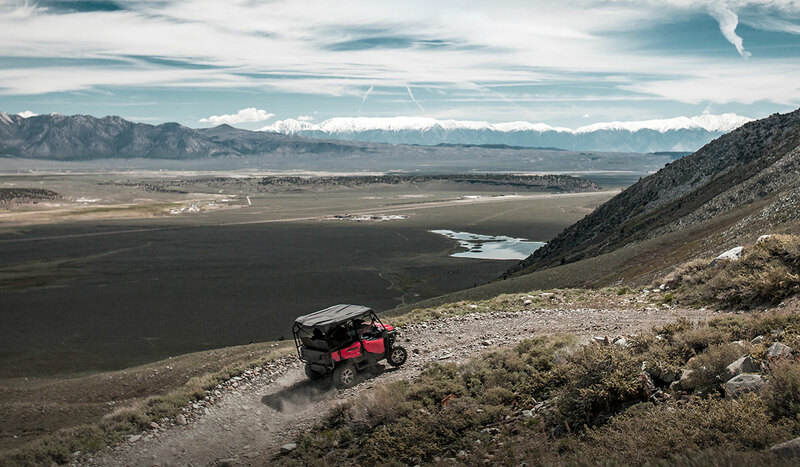 The engine is paired with a 6-Speed transmission and total fuel capacity is 7.9 gallons. 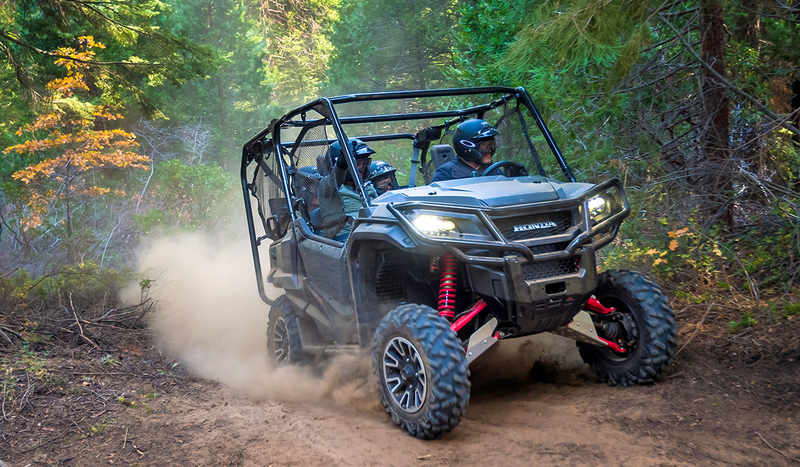 The Pioneer 1000-5 LE rides on Aluminum wheels with Maxxis Bighorn: 27 x 9-14 front tires and a Maxxis Bighorn: 27 x 11-14 rear tires. The front suspension is an Independent Double Wishbone while the rear suspension is an Independent Double Wishbone. 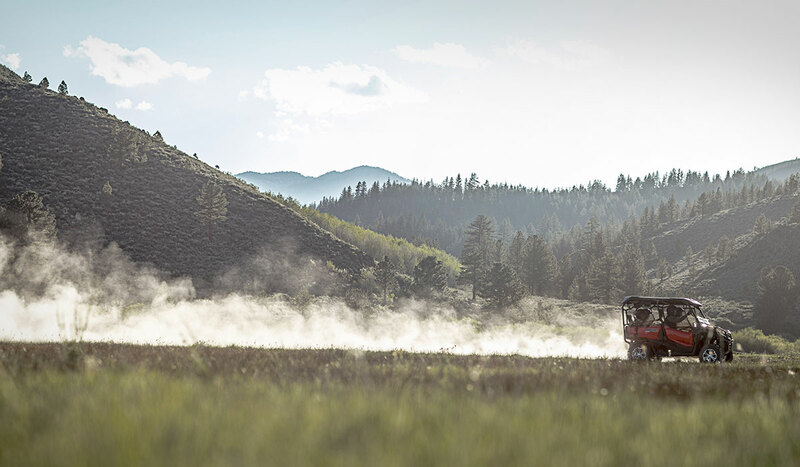 Front Hydraulic Disc brakes and rear Hydraulic Disc brakes provide stopping power. 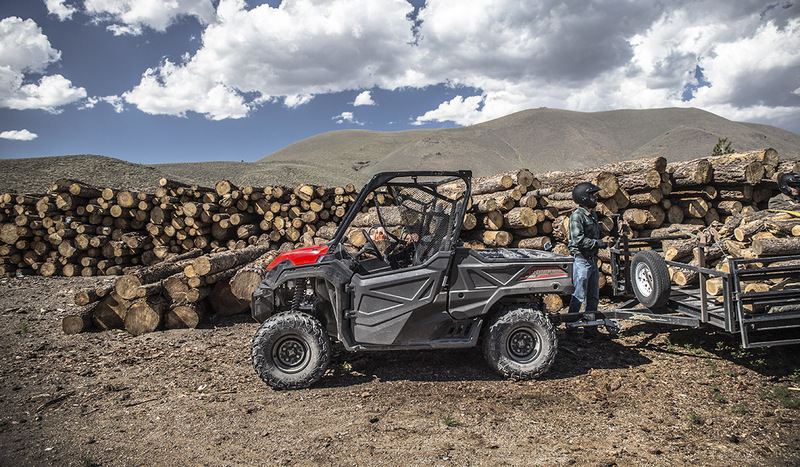 The Pioneer 1000-5 LE comes standard with a Bucket, 5-passenger seat.